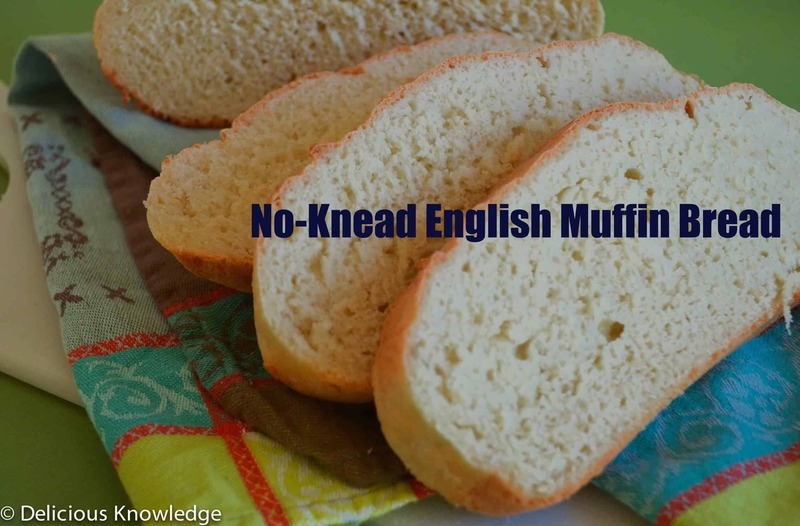 A few weeks ago my BFF Jill asked if I had any good no-knead bread recipes. There is nothing I hate more than being stumped by a seemingly easy question. I should have been able to rattle off a 1/2 dozen of my favorites, along with tips and techniques to making the perfect loaf. I’m rarely speechless, especially when it comes to food. Six attempts later, I can now say that I have better than a good no-knead bread recipe. 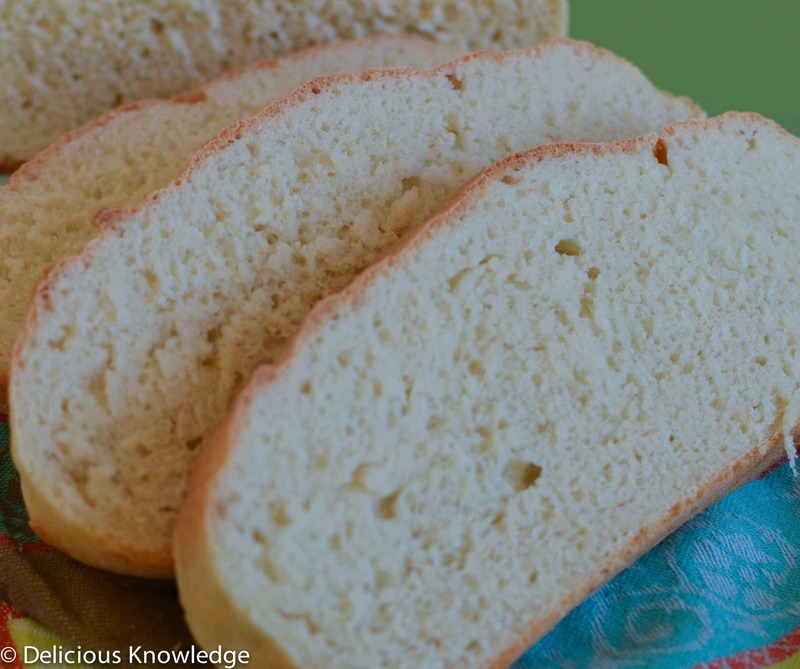 I have the perfect no-knead bread recipe that will make you reconsider ever trying another recipe again. Well, unless you want some whole-wheat or nutrient dense bread. This bread definitely isn’t that. 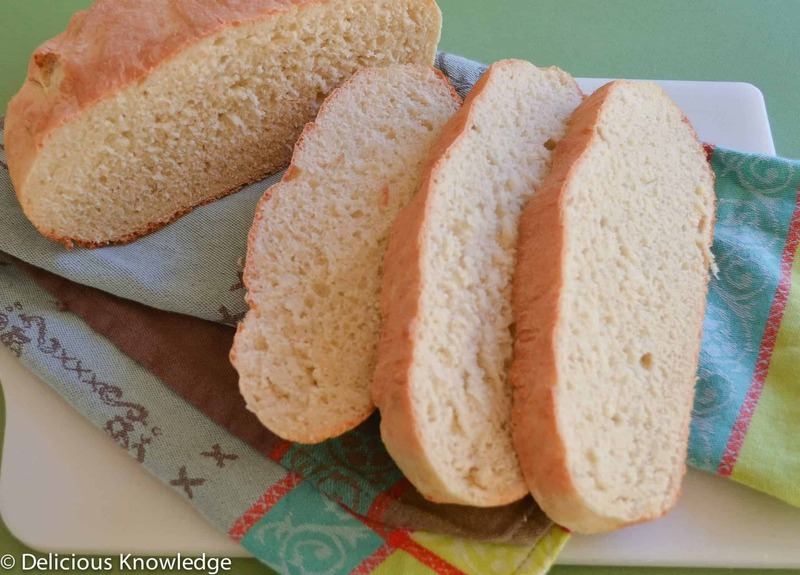 But it is the perfect bread to eat with egg-less salad, slather with strawberry jam, or use in french toast. Remember when bread machines where all the rage? 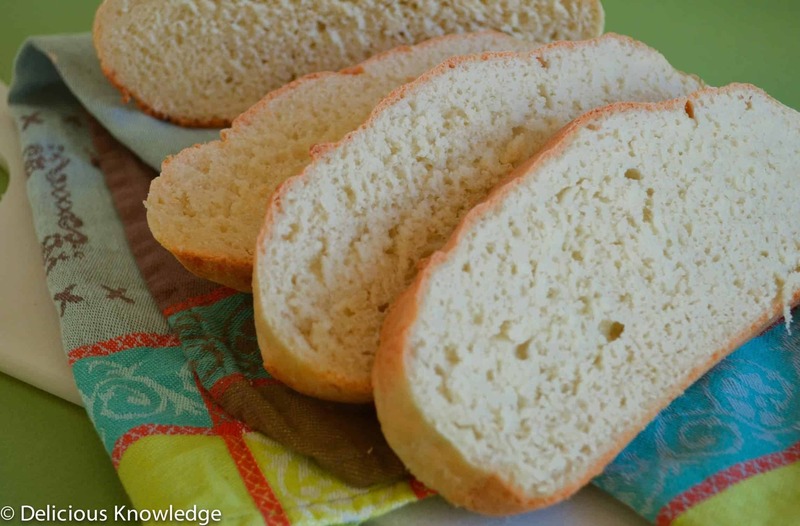 I remember my mom making bread almost daily, and her english muffin bread was my most requested pick. I loved it right out of the machine with my favorite toppings: butter and fresh jam. Those were also the days when we all thought that bread was the healthiest food- low fat!- and could find a reason to eat almost an entire loaf of warm bread in a sitting. Just look at that crumb. It’s beyond perfect. Nooks and Crannies just begging to be filled with some fancy spread or dipped into whatever is simmering on the stove. The beauty of a no-knead recipe is you almost forget that you spent anytime actually making it. A few moments with your stand mixer, an hour in a warm spot and wa-la! Breakfast is served. 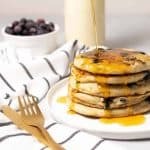 For a fancy treat, make this the night before and enjoy Blueberry French Toast the next morning. In the bowl of your stand mixer, combine the yeast, whole wheat flour, and sugar. Add the warm water and stir together. Let sit for 5 minutes. It should smell slightly yeasty and have small bubbles at the top. On low speed, mix together for 3 minutes. Add the salt & all-purpose flour and switch to a dough hook. Mix on low speed until thoroughly combined, about 2 minutes more. The dough will be dense. makes a fantastic crust. Lightly sprinkle with fine cornmeal. Add the dough and form to fit the baker. If the dough is too sticky, lightly wet your hands to move the dough. Sprinkle with more cornmeal. Cover with a clean dish towel. Place somewhere warm (I put it in front of my space heater or next to the oven while I make dinner) and let rise until double in size, ~50 minutes. Bake at 400ºF for 40 minutes, until crust is golden brown. Remove and let sit for 15 minutes. Remove from pan and let cool on counter or cooling rack and let sit until it’s cool enough to slice. I know it’s tempting but try not to slice warm! Previous Post: « Post Workout Nutrition: What should I eat? Can’t wait to make this. It looks amazing in the pics! Thanks Jill! 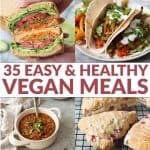 Let me know how it turns out- I am loving this recipe! Slathered with lentil sloppy joe fixins…I mean, CAN I GET ONE!! Delicious!! 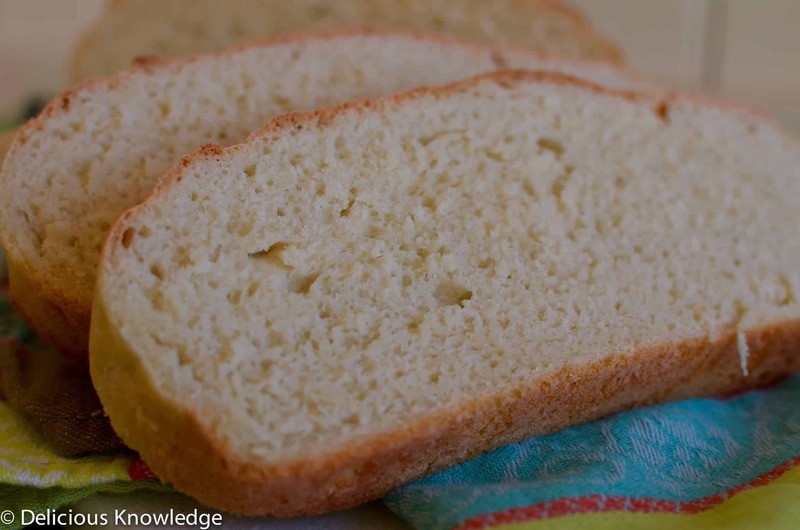 I substituted wheat flour with almond flour because that’s what I had. Worked wonderfully, and tasted great!